Are you looking to make new friends and connections in a nice relaxed environment or a place to develop your social skills or even something out of the ordinary? Well look no further and come join us as we host our special one off speed mate-ing evening all for the great cause that is mental health awareness! Taking inspiration from The Girl Gang we intend to create a unique evening centered around meeting new people who you wouldn't usually have the chance to in Sheffield. 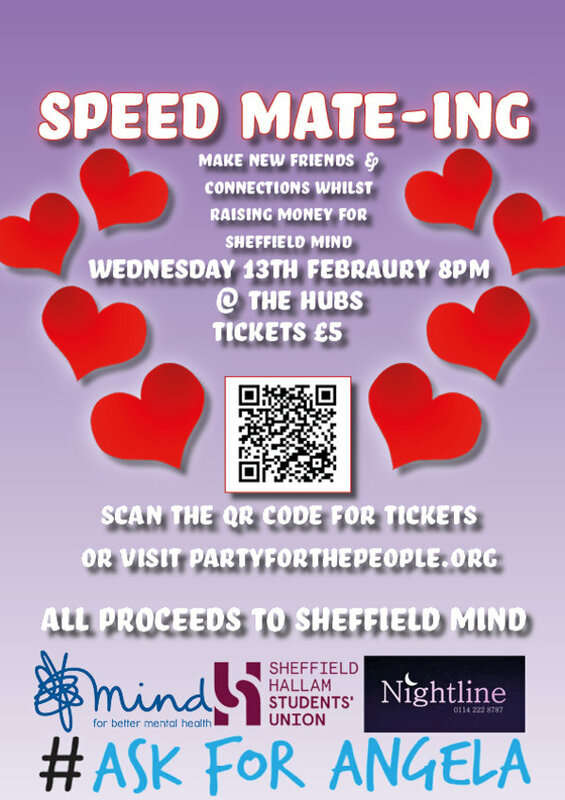 The evening will consist of 5 minute paired interactions with ice breakers and activities as well Sheffield Mind and Sheffield Nightline will be present with a stall selling merchandise and and will be there if you have any questions about their amazing work!